A power programmer allows you to program the internal computer in your vehicle. It is designed to help give your car or truck more engine efficiency and power. The most commonly purchased brands of power programmers include JET, Banks, Hypertech, Edge and Superchips. The power programmer is not used for a regular tune-up or maintenance on the vehicle’s engine. The tune up that a power programmer provides involves the stock calibrations that are located inside the computer that monitor and regulate things such as the delivery of fuel to the injectors and the timing of the spark plugs. Stock calibrations in most of the computers found in vehicles are typically set for drivers that simply want their vehicle to run smoothly. People going to and from work, parents transporting children and those simply driving on an average day may not find a power programmer to their advantage. Reworking the computer calibrations in your vehicle however will substantially improve the way that your vehicle burns fuel and air. This will make your car or truck perform better by giving it much more power and making the engine run more efficiently. To use a power programmer you simply plug it into the diagnostic connector that should be located underneath your dashboard. The programmer will then determine the specific make and model of your vehicle by the VIN number and will automatically reset the computer calibrations for you. You should note that you cannot simply walk into an automotive shop and purchase just any power programmer. You will need to purchase a model that is compatible with your car or truck in order for the programmer to work correctly. There are many websites by power programmer manufacturers that allow you to search specifically for the make and model of your vehicle. 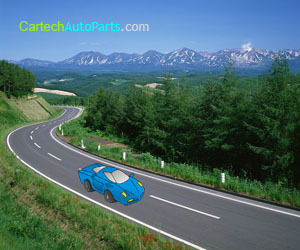 This will help you to ensure that you choose the right programmer for your specific vehicle. If you choose to purchase a power programmer locally, you will simply need to order it by the make and model of your truck or car. Brands such as Hypertech and several others do all needed testing to ensure that the calibrations for each vehicle are set correctly. They will test the fuel to air ratios as well as the spark timing at a variety of different speeds. This is done all the way up to maximum speed to ensure that each vehicle is set correctly. The speeds are testing for every make and model of vehicle as well and once the maximum torque is found for every available speed, the calibrations can be set into the programmer for that specific make and model. While power programmers are very popular among race car drivers, they are also advantageous to those who do not drive professionally. They provide fuel efficiency which allows your car or truck to offer you more miles for each gallon of gasoline that is burned. Since gas prices have been on the rise over the past few years, this alone is a benefit that many vehicle owners appreciate. They also provide you with more power while driving. When you have the option of driving your car or truck at maximum horsepower, you can sustain your speed for much longer as well as accelerate much more quickly. Those who own and drive SUVs or trucks may appreciate the torque benefits as well. This is particularly true for those who haul heavy loads frequently. The power performer can provide more torque for your vehicle, making your towing capacity much greater. If you drive a larger vehicle, you will notice an added efficiency even while you are towing heavy loads. Using a power programmer will also help you to lower the temperatures of your cooling fans, correctly recalibrate your speedometer and even adjust the shift points in your transmission. If you are considering purchasing and using a power programmer on your vehicle but are worried about voiding your original factory warranty, it will not affect the warranty at all.